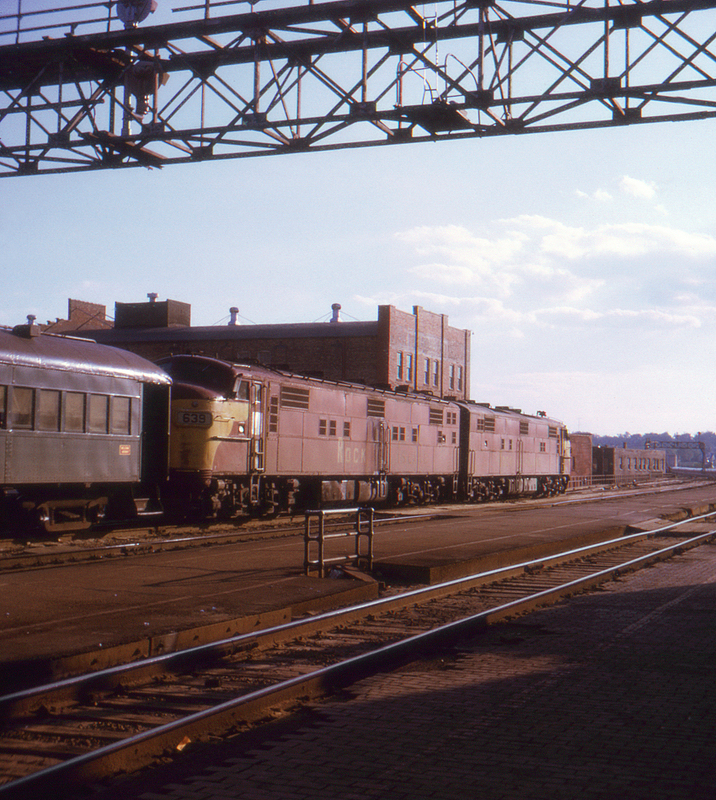 A rather dingy pair of E's halts at Joliet, Illinois with a commuter run consisting of even older coaches. This page posted 9/1/2017; revised 3/1/2019. Text and photo ©2017 Lamont Downs.